Hello! It’s always a pleasure to welcome you. 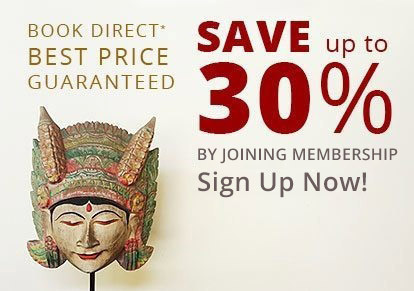 Sign up for membership to get Up to 30% OFF. 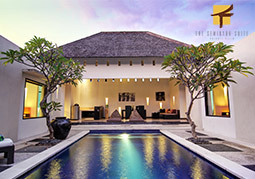 Astadala Hospitality was begun with Villa Seminyak Estate & Spa. Soon after its established 19 years ago; we have hosted and served many guests from around the world, who mostly keep coming back year after year for their great experience at our hospitality. Things isn't always perfect. We keep striving to improve ourselves, and overcome any shortcomings to keep you, our valued guest to have a memorable experience with us. At Astadala, "We Care" is everybody's vision, value, and philosophy. This defines our behavior towards our guests, employees, partners, and stakeholders. With full of care and friendliness we are eager to serve and assist you, and wish you to have a memorable experience as possible at any interaction. We are grateful and thank you for choosing Astadala properties and keep come back to us on your visits to Bali. With that confidence, year by year, we have sucessfully expanded our services to serve you more and hopefully better by addition of two luxury private pool villas; The Seminyak Suite - Private Villa and The Haere, Seminyak. 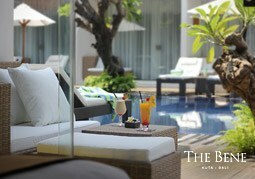 In hotel category we just opened The Bene, Kuta -built for you who love to be in the center of the lively Kuta beach action. 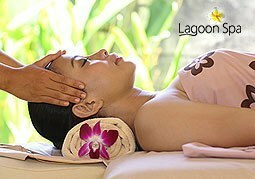 We also have revamped our long standing service excellence in well-being of Lagoon Spa Seminyak. 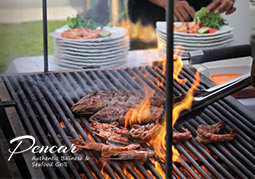 For food lovers, you can try Pencar Seafood & Grill, a new dining option next to the happening Seminyak 'eat street'. Hint: These also apply if you book direct through our brand websites. Get the best possible deal for your stay by book direct to hotel/villa. No middleman. No booking fees. We are NOT a booking agency. We sell our own rooms/villas, and price our own package. Best Price Guaranteed! Need custom arrangement? special packages? or additional services during your stay? Just let us know. No more hassle to get help. Direct contact with hotel/villa. You will handled directly by the authorized on-site personel (at the hotel/villa's reservation center) who will help immediately with your booking. Reservation office hours: 9 AM - 5 PM (GMT+8). Contact us. It’s easy and straightforward to cancel your online booking, make changes, or send a direct request to the property. Contemporary private pool villas, perfectly located in the heart of renowned shopping and dining of main Seminyak street, with preserved tranquility. 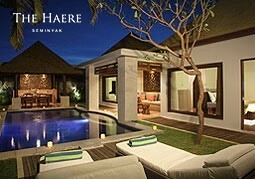 Heavenly private villa complex in a spacious tropical setting, with heartfelt hospitality at the heart of Seminyak. Exclusive family villas with impeccable service, nicely located next to the happening eat street and boutique shopping of Seminyak. 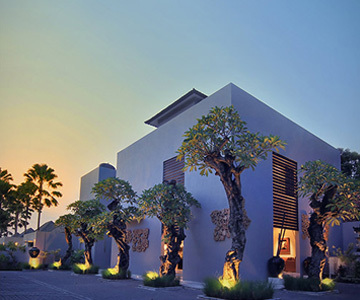 A stylish four-star hotel within 5 minutes walk to main Kuta beach. Offering modern comfort, central access, and warmth of Balinese hospitality. Top-rated exclusive private Spa villas with more than 15 years experience of service excellence, located in the heart of Seminyak. 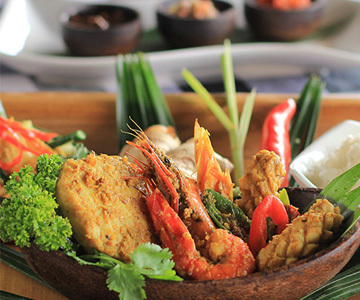 Award-winning Balinese seafood restaurant in Seminyak, with renowned seafood taste of Jimbaran. We were absolutely delighted from the moment we stepped inside. After the resort (which was also lovely), it felt great to have lots of space and much more privacy. The rooms are huge; everything was clean and comfortable.. Fantastic holiday enjoyed by all, awesome villas and staff so friendly and will do anything to help you. The villas were so clean and comfortable, very relaxing. Thank you to all the staff from our cleaners, the pool man Roy and the beautiful staff in reception you all made our holiday AWESOME..
We stayed at this villa in June, 2015.and I must say it was pure luxury. We were two couples and opted for 2 room villa with private swimming pool. The villa had a nice small kitchen with dining table and a sitting.. This place glows with positivity and peace. A most friendly & helpful staff, who remembered our names, (nice touch), the deluxe pool villa was perfectly appointed & situated for our family including daughters aged 6 + 8.. Such amazing people. I was slightly overwhelmed when i arrived (Bali roads will do that). We were greeted with juice and cold towels and then driven to our room. Over the next ten days we got to know all the staff (who i miss dearly)..
My partner and I spent 5 nights here in a lagoon villa and loved it. We paid $110 AUD a night, it is definitely worth booking directly through the villa and not with a booking company as they offered the cheapest price by far..
All the staff were very welcoming and friendly, and willing to give their 100% to be at your service. Breakfast in villa was great, with live cooking in your villa's kitchen. The Haere is also situated at a prime location, a 2 minutes short walk via the back street to a whole stretch of high ends and Balinese shopping street..
Villa and pool was fantastic. Well furnished spacious rooms, large pool, nice outdoor living area, and very friendly helpful staff. Only a 5 minute walk to a busy street or bars and restaurants means a good location away from the noise of the busy areas.. Fantastic location, friendly staff who go the extra mile. Quality clean villa. Excellent price. This was the second time we have stayed at the Haere. Staffs are lovely and always smiling. They are fantastic with children and will always stop past to give them cuddles and play with them..
Just left the Bene hotel after a 4 night stay. Have only good things to say about it. The rooms are a decent size, comfy bed and plenty of power points including a multi country one which was very handy.. Stayed 3 nights (pool access room). Great and comfortable stay! Breakfast is fantastic with a wonderful environment. Very near to Kuta beach which is awesome, as well as shops and cafes. Will be back here soon! *thumbs up! We stayed 10 nights in the pool access room and loved it. The pool area was fantastic, a great area to socialise and meet people, of which we did. The staffs were amazing and couldn't do enough to make our stay comfortable.. The ladies were very courteous and treated us to a wonderful hour of relaxing massage. I have one regret I never did this at the beginning of our journey. I most certainly would have gone back for more.. Very comfortable experience. We tried the island aromatic spa package, the aroma oil smells so great and made me so relaxed! The environment is great, with trees and pools and natural sunlight. Will definitely come again..
We ordered seafood in balinese way and it's really really really delicious and i would like to recommend this restaurant!! Staffs are very friendly and they gave us good services. Well, i can;t say no more except, Best and Recommended. I will go to this restaurant again next time with my family ^^.. Superb fun and great hands on teaching of local Balinese cooking. Can't wait to try back in Australia. The whole experience was awesome. Many thanks .. The title says it all..Food was perfectly cooked each time we went there.Consistent flavours on different days,staff were more than friendly.Very well presented all round.Would eat here all the time if we could. Not too harsh on the wallet as well. 5 star dining. Explore and discover the serenity in Balinese hospitality. Tranquil private pool villa in a tropical Balinese village compound. A hidden oasis in the Seminyak's most happening "eat street". 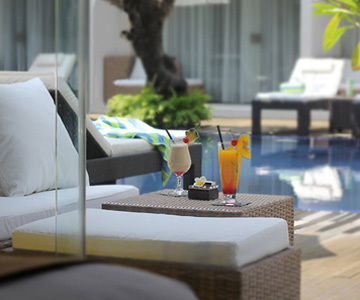 Peaceful and secluded modern hotel next to the happening Kuta beach. 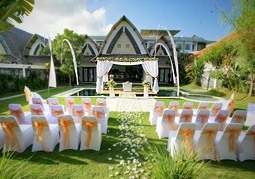 Intimate and personalized wedding at Royal Pool Villa. 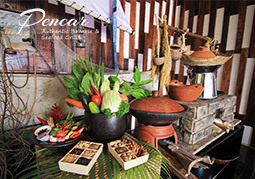 Master Balinese cooking in 3 hours, with traditional market visit. Top rated Balinese seafood restaurant in Bali. Free shuttle service available. 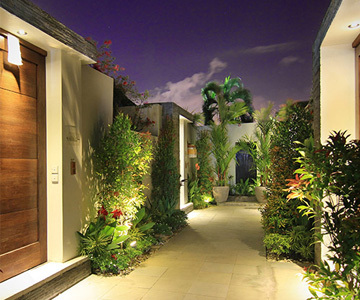 Secluded private pool villa in the central Seminyak area. BOOK DIRECT* or 'direct booking' refers to: book your stay directly through our hotel's or villa's official website and or contact numbers as stated in this corporate website (www.astadala.com) and or its accommodation properties managed by Astadala, NOT through any other third party or affiliated booking sites. Learn more about our official Best Price Guarantee. Copyright © 2005 - 2019 Astadala Hospitality. All Rights Reserved. Wait! Don't miss any special offer again!